14x30' 6 lane, 4-1/8" centers. Copper braid recess .005. Grey Epoxy surface. 4 power taps. Racing will be focused on truescale type. 1/32 Slot.it, Fly etc, 1/24 ScaleAuto et al. A stamped steel run whatcha brung type car in a breakout format as well as a select USRA type for experts. Race days tbd (open days for road course racing are any day Sunday thru Thursday however No Superstition Flats racing when Drag Racing). 1000' with 64' long. Trackmate timing. Braid recess .005 Power 16+ and Arizona HOT! Club racer And electrical engineer Brian has hooked it up good! Racing Fri night, every other Saturday coordinating with Craig's 1320 about 40 miles west. The venture has been kicked around for quite awhile and as always been a struggle while exciting at the same time. 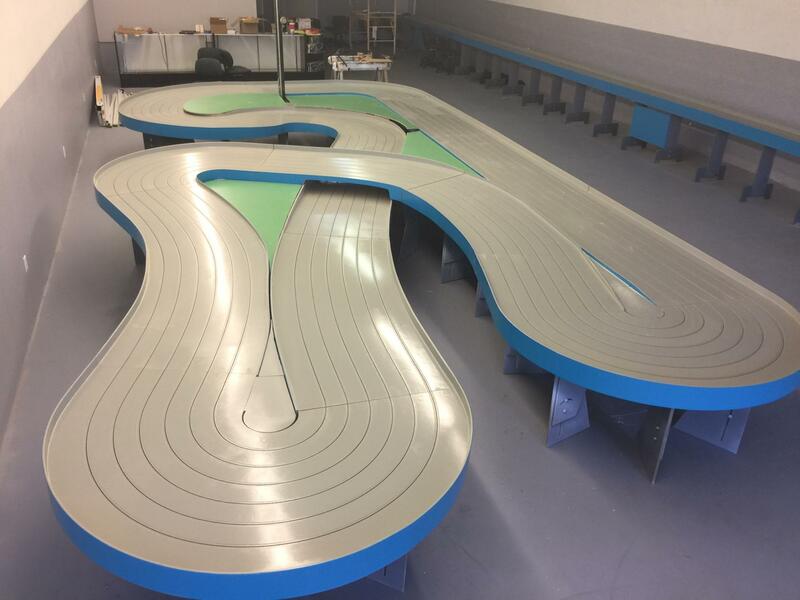 I being able to build a custom track according to the trend and local club racers enthusiasm. Roger being able to express a dream of being self employed! Roger has a great story. 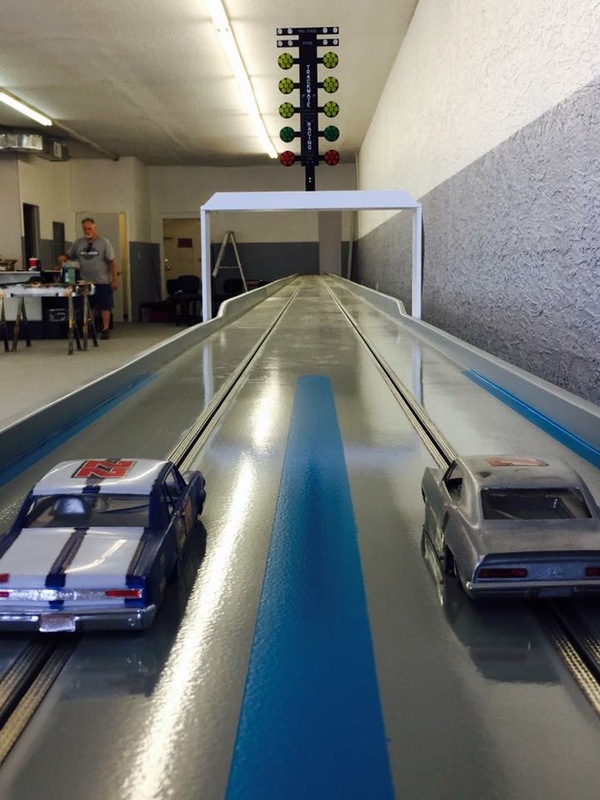 You see Rogers first experience with a slot cars was almost walking past Ron Granlees Speed & Sport Raceway away back. I have built the tracks with some help from club racers. Hope to open around 5/20. We would like any and all Speed & Sport Raceway reference material. We would like to see about copying some pictures to put on the walls. We will have the one History pages I've found. That is a great looking track. And flat to boot! The reference's to Ron Granlee's "Speed and Sport" are interesting, as that was my home track back in the 60's. Even help build the Riverside track there. If you find any pictures of the old S&S, please post. I would like to see and remember my old haunt. Did Roger race at the old place? If I can find any thing regarding the old place, I'll contact you. Speed and Sport lives. Awesome! Thx for the note Tom. Roger was about 7 I think (will have to fill in story) and said that after that first sighting his dad bought him a car and he did play there but probably too young to race. Great looking flat track. I may just have to take an extended vacation to AZ and bring my True Scale cars. 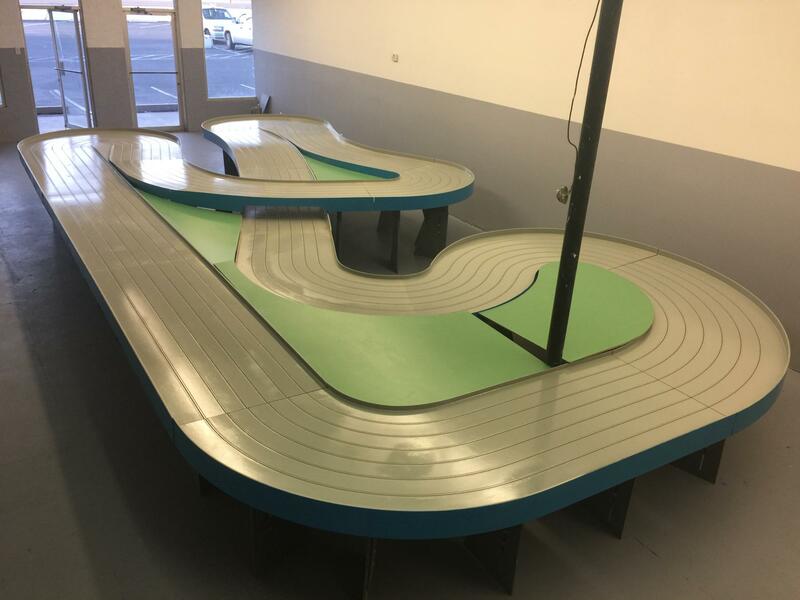 The track looks more like a speed track than Electron Raceway and would be fun to run my Group C/GT1 Hawk 7 powered Scholer or other H-bracket cars. Thank you. Yes, track should be quite fast. Would be great to see you! We hope to work with Alan for some events.